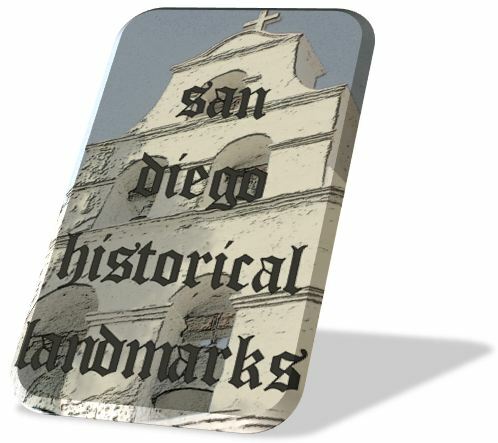 Several years ago I found a list of San Diego’s historical landmarks and thought it would be interesting to visit all of them. As I was visiting them, I found them so interesting that I thought I would share them on my blog. Unfortunately, the old blog that I had from July 22 2008 to January 7 2012 is kaput. I thought I had retrieved my 3,800 posts but apparently some of the earliest ones are even more kaput than the blog itself. 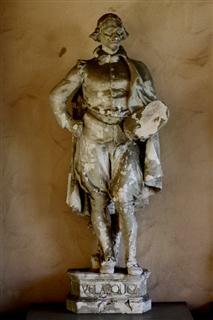 So I have to start over with my San Diego Historical Landmark series. San Diego Historial Landmark #1 is El Prado Area Designation, receiving the historical landmark designation on September 7, 1967. It would be almost five months before Historical Landmark #2 was added to the list. It might take that long for me to go through everything that is El Prado Area Designation but I believe you’ll enjoy the journey. 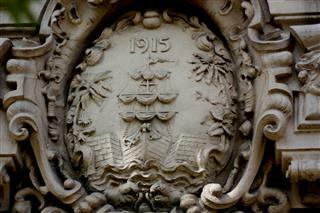 The El Prado Area Designation is in Balboa Park, a National Historical Landmark and a National Historic District. According to those in the know, Balboa Park is the largest “municipal urban cultural park” in the United States. Note the part in quotations because that’s important. There are a couple of larger parks, but they are not “cultural” parks. There are a couple of larger cultural parks but they are not 100% municipal. Ah the tangled webs we weave with words (ooh, I like that alliteration). I think you’ll be amazed at everything that’s in the El Prado Area Designation, and it’s only a small part of Balboa Park. The biggest part, of course, is the San Diego Zoo, which takes up 100 acres of the 1,200-acre park. 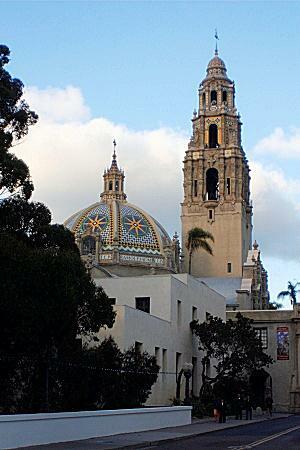 If you come to San Diego and want to see something besides our beaches, head inland just nort of downtown San Diego and spend the day in Balboa Park. This entry was posted in Halls of History, Historical Landmarks, History, Out & About, Photos and tagged Alcazar Garden, balboa park, Bea Evenson Fountain, Botanical Building, Cabrillo Bridge, california, Casa de Balboa, Casa del Prado, El Cid Statue, El Prado Area Designation, House of Charm, House of Hospitality, Lily Pond, Mingei International Museum, Museum of Photographic Arts, Old Globe Theatre, Plaza de Panama Fountain, Reuben H. Fleet Science Center, San Diego, San Diego Art Institute, san diego model railroad museum, San Diego Museum of Art, San Diego Museum of Man, San Diego Natural History Museum, san diego zoo, Sefton Plaza, Timken Museum of Art, Zoro Garden on May 17, 2012 by Russel Ray Photos. Hi there! Thanks for “camping” out on my blog. Now it’s my turn! There are so many good writers out there, I would like to sit on a deserted island for about a month to give each of them their proper due. 🙂 Sounds like things are going well. I’ve just added San Diego as an airport “on the list” and added your comment as well as a link to your blog. You’re the first for San Diego! Yeah! have a great week. Thanks again. 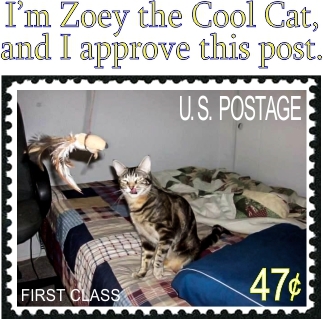 (Hopefully Zoey will give her stamp of approval.) I have a 19-year old cat, Taz. He still chases squirrels. I’ve only visited San Diego once, but the highlight of that trip was touring the old town area. We were there just before Christmas that year (early 1990s) and I bought a souvenir ornament for the tree with a handpainted Santa sitting under a palm. Everytime I hang it on the tree, I’m transported back to the warm 73degree December day I purchased it…Reading your post today, had the same effect….lovely! Old Town used to be great, but about five years ago the State of California had this brilliant idea that the lady (Diane Powers) who had run almost all the Old Town shops and restaurants for 28 years wasn’t equal to the task. They hired some out from Connecticut; totally ruined Old Town. Diane now has all her shops and restaurants spread throughout San Diego County. I rarely visit Old Town anymore. When I took my sister to Balboa Park back in 1999 she said virtually the exact same thing! One day when I visit Cali, Ill have to check out some of these places. They look interesting…btw…I’M BACK!!!!!!!!!!!!!!!!! Tell Zoey I missed her.